I Am Heath Ledger isn't just suitable for anyone who loved Ledger's acting career, but anyone who needs a bit of inspiration or direction in life. Forget everything you think you know about Heath ledger. That is the one and only aim of the beautifully made I Am Heath Ledger documentary. Charting his life from childhood to death, using the interviews of parents, sisters, friends and close creative collaborators, and his own extensive video footage and photo collection, Mr. Ledger is revealed to us both chronologically and kaleidoscopically. We follow him from his early life in Perth to his first acting gig and his move to the US. Some of his major films function as full stops or exclamation marks along the way, punctuating or reflecting similarly major shifts in his personal and working life. Independent creative projects are also included, as well as references to art collective The Masses. The linear progression is interrupted by the man himself, in rough camera footage of him trying out shots or playing around with his acting process. You don’t know when or where most of these videos were taken, giving the documentary a timeless and unrestricted playful feel. The aim of this film seems to be giving the opportunity for Ledger’s loved ones to redefine the legacy left behind by their son, brother, and friend; one that focused on his life, rather than his death. 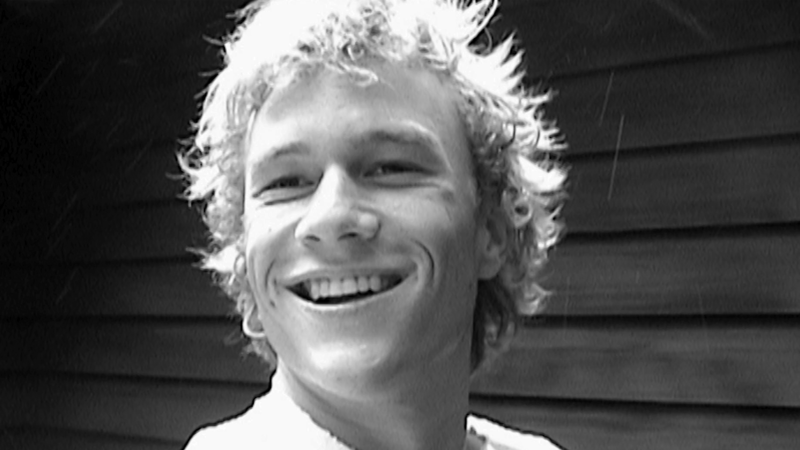 The 28 year-old’s untimely passing took away Ledger’s cherished privacy, as the media’s ruthless eye focused on Ledger’s personal life, rather than the creative and collaborative public projects he worked on and supported throughout his career. This documentary is the belated celebration of those things the media ignored, in order for them to spin conspiracy theories and spread gossip as carelessly and as thickly as butter on bread while a close family and friend network grieved. While the interviewees acknowledge some of Ledger’s health issues, his private life is kept tastefully just that. They got to control the documentary in a way they couldn’t with the news at the time, feeling comfortable enough and at ease to share lovely stories from their shared past with the actor/director/artist. From early morning breakfast calls to gifting someone a piano, Ledger had a lot of time for a lot of people. The documentary isn’t shoving Ledger’s lifestyle in your face, even though it could and I wouldn’t complain, but it’s offering you an invigorating philosophy and energy for life: Heath used his phone to stay connected to his world in an age where technology is gradually distancing us from it, surrounded himself with people he loved and people that constantly inspired him, and would only pursue the things he was passionate about. It’s not the only way to live your life, and you need to have a certain amount of financial security to achieve these things, but I’d say that these are as good a goals as any. The link to Bon Iver, who’s song ‘Perth’ bookends the film, is a wonderful testament to the inspiration Ledger continues to put back out into the world. By the end of the documentary, you feel like you know Ledger pretty well, but not too well- and that’s exactly how I think he would have wanted it. I Am Heath Ledger, directed by Adrian Buitenhuis and Derek Murray, is released on Blu-ray disc and DVD in the UK by Spirit Entertainment Limited, certificate TBC.